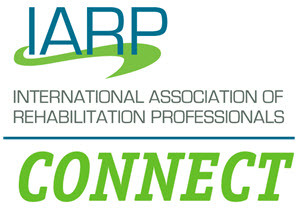 IARP is pleased to announce that all educational content on IARP Learn is now available at no cost for members! This includes all courses with pre-approved continuing education credits. Join Us November 13 for the "20 Red Flags in a Life Care Plan/Life Care Plan Review" Webinar. 20 Red Flags in a Life Care Plan/Life Care Plan Review will cover 20 common errors found in life care plans. The webinar will explore weaknesses often found in 3 major areas; structure and methodology, costs and specific goods and services. Throughout this webinar, you will gain insight into enhancing your own plans and preparing reviews of opposing plans. Linda Husted is founder/owner of Husted Life Care Planning, Inc. Her education includes a RN Diploma, BS in Health Education, and Masters in Public Health. She is certified as a nurse life care planner (CNLCP) legal nurse consultant (LNCC), case manager (CCM) disability management specialist (CDMS) and rehabilitation counselor (CRCC). Her website is RNZone.com. Co-presenter with Cheryl Kaufman, RN BSN CLCP CNLCP a Joint Webinar sponsored by AALNC/AANLCP entitled: Assessing Future Medical Damages in the Litigation Process - the Evolving Roles of the Legal Nurse Consultant (LNC) and Nurse Life Care Planner (NLCP). Identify 5 red flags in a med mal life care plan related to structure and methodology. Recognize 9 red flags in a personal injury life care plan related to costs. Identify 5 red flags in a toxic exposure life care plan related to specific goods and services. Evaluate a plaintiff life care plan and provide a strong review of the plaintiff plan for the defense.